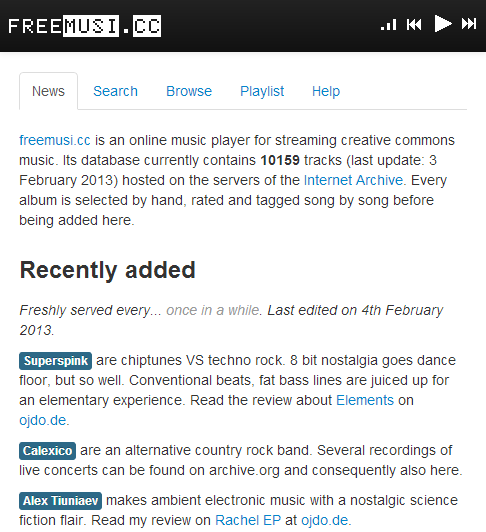 freemusi.cc is a player and database for free music. As of now (Feb 2013), it contains over 10,000 tracks of Creative Commons music from many artists all around the world. Various music genres are present. All tracks have been hand-selected, rated and tagged. And since now, the database got a new landing page with recommendations, links to latest additions and my favourite evergreens.